It is my favourite time of year, all the best flavoured food and drinks come out, the best decorations, and you get to dress up as your favourite horror characters! It is also more acceptable to dress a little more witchy daily (like that stops me but shhhh). 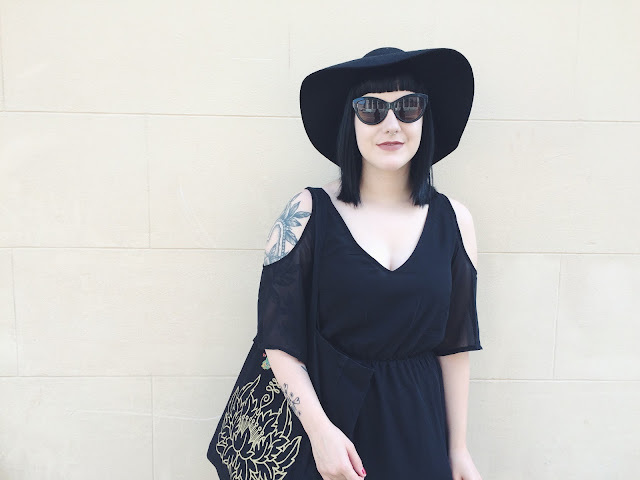 So, even in the 26 degree heat, I decided to do a Halloween/witchy style outfit post. The heat did mean that I didn't want to go for my favourite Pumpkin Spiced Latte, which would have also made me feel the Halloween vibes. I recently purchased this lovely dress from H&M, it has a cold shoulder feature, thin floaty fabric (thank god for the layer underneath!) and loose fitting sleeves, which are almost sort of a cropped bell sleeve. 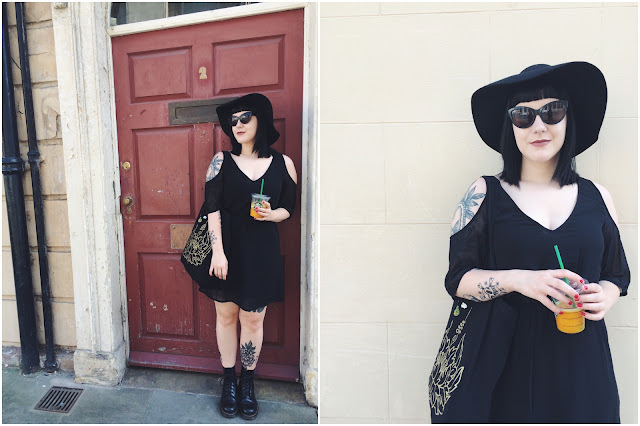 I've not really had the opportunity to dress quite witchy lately, so I paired this dress with a nice big floppy hat which is also from H&M, and my trusty Dr Martens boots to the outfit. 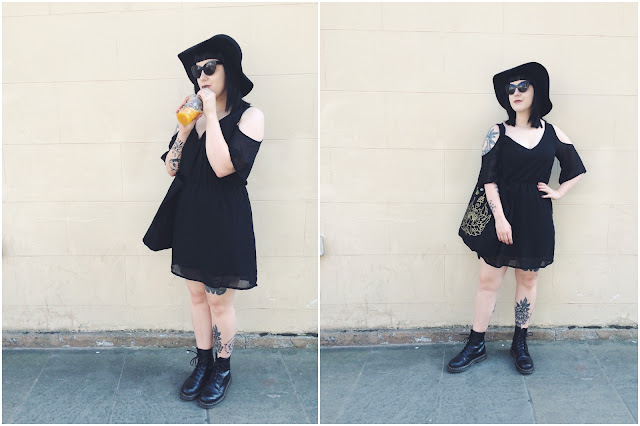 A good chunky boot makes a good witchy outfit! I also used MAC's Spirit lipstick which is a lovely muted brown tone... and has a name that suits this theme. 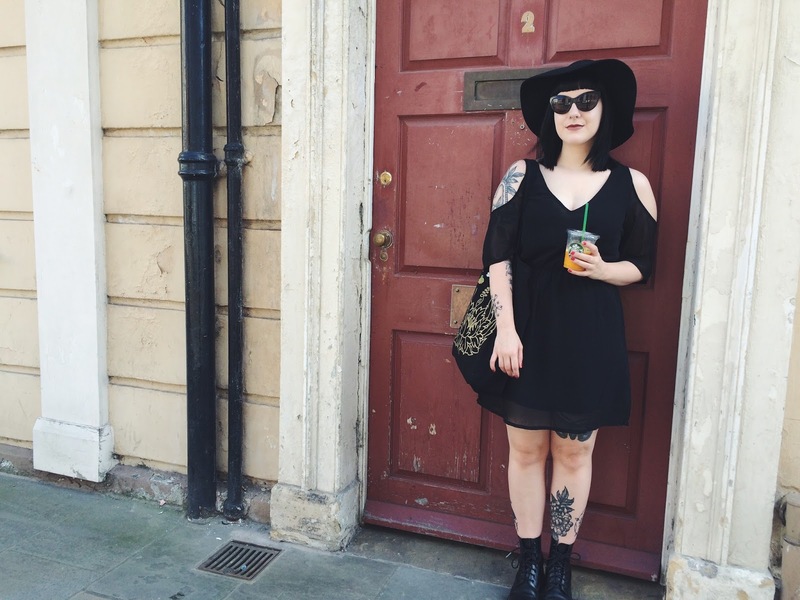 My sunglasses were a freebie from Cosmo magazine, but you can shop a similar pair over on Asos. 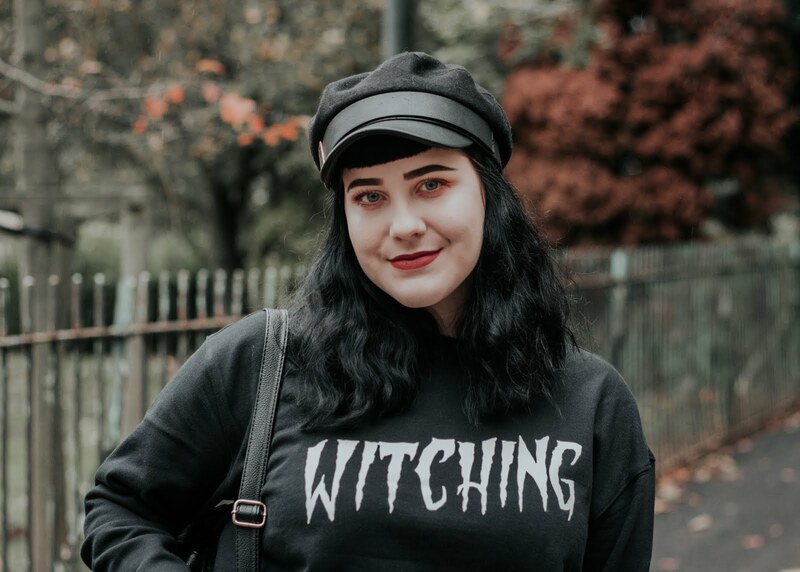 I am so excited to shop for Halloween home accessories and clothes and writing this post has gotten me so excited about it! I had to name this post one of my favourite quotes from 'The Craft', because 'Light as a feather, stiff as a board' would be weird, right? 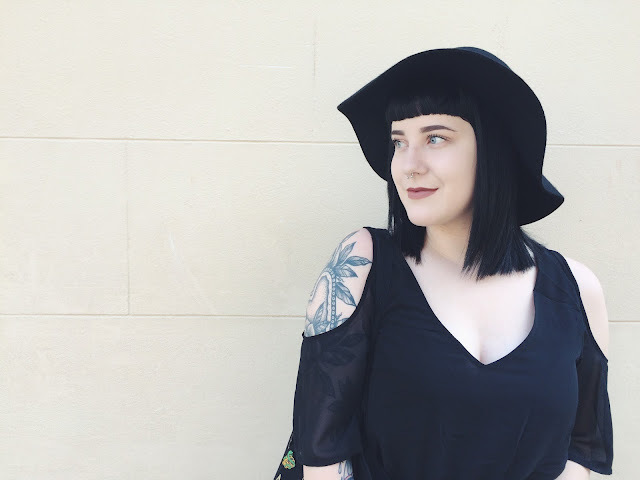 A slight weight loss made me feel so confident when shooting the images for this post. This also was my first time going into a busy town centre to shoot! What are your favourite things about Halloween (or Autumn)? Love this outfit!! I am so ready for Halloween and this outfit just gets me more excited!! I love love love your tattoos!! Loving the vibe of this outfit, great images.